Casterton 2 is a Christian activity holiday (Pathfinder Venture) for 11 – 14 year olds. It takes place each summer just outside the Lake District and is run by volunteers from churches across the country. We aim to have a have a fun-filled week together, with a whole host of activities, alongside the chance to find out more about the greatest person who has ever walked on earth – Jesus Christ! There’ll also be time to eat, sleep, relax and make friends! 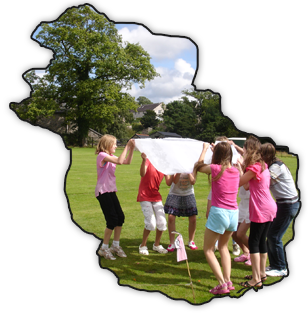 This year our activities includes arts & crafts, swimming (there’s an indoor pool), football, cooking, our wide game, ‘It’s a Washout’, photo challenge in Kirkby Lonsdale, a day at the Lakes (with opportunity for water activities like kayaking and raft-building), climbing, shopping, netball, tennis and lots more. We have a beautiful and well equipped site at Casterton school, near Kirkby Lonsdale in Lancashire. To get a better idea of what’s on offer and how you can join us, please have a look around. If you’re aged 11 – 14, have a look here for more information. If you’re an adult and interested in coming to help, please have a look here. If you’re a church leader or youth group leader, interested in bringing a group from your church or encouraging them to come, please get in touch.